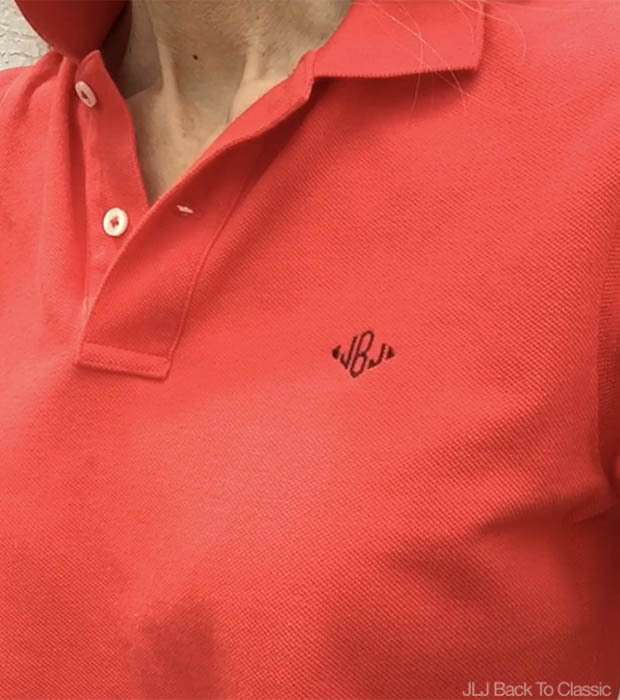 (ABOVE) I love this polo shirt, because you can customize it with your own initials. 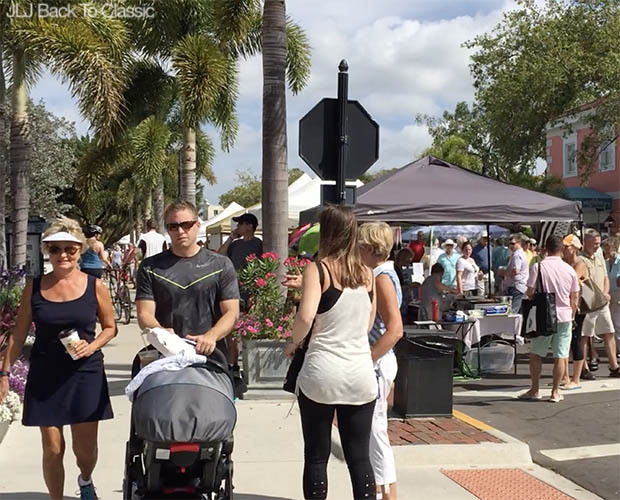 Naples’ Very Own, Downtown Farmer’s Market…Time For a Visit! 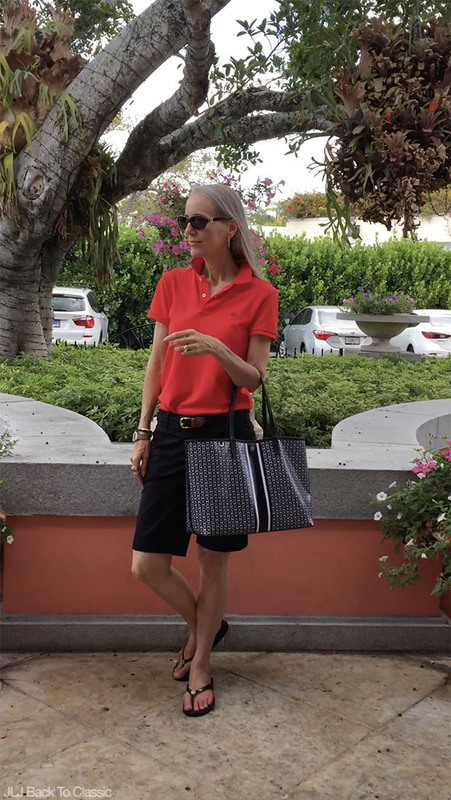 Ok, fierce honesty: I have lived in the Naples area for 33 years (this August), but I’ve never been to the Third Street South Farmer’s Market. I can’t believe I’m admitting that. The market has been in town for more than 20 years. I guess it’s because my Saturday mornings have always been occupied with other activities, and visiting the market just wasn’t a priority. When I happened to walk by it last summer, I promised myself I would definitely pay it a visit some time in the future. 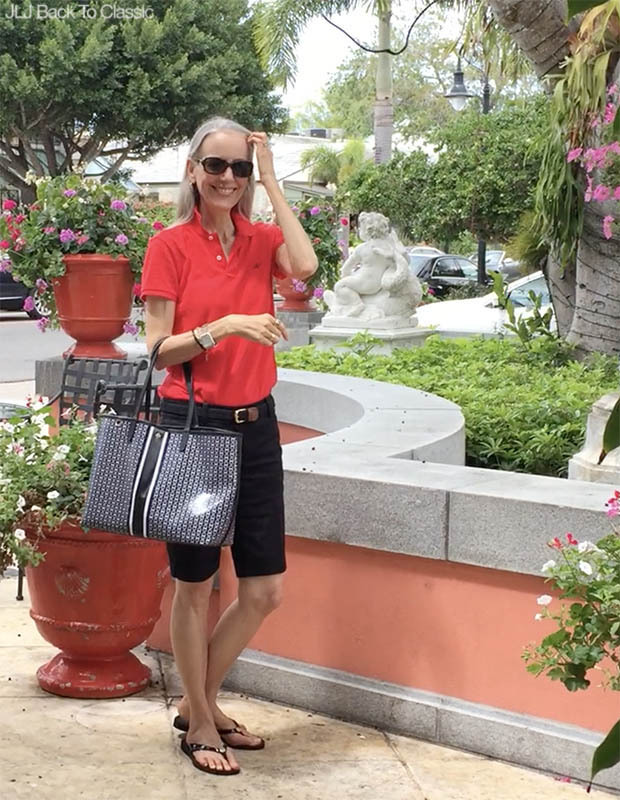 Months passed and, finally, a few Saturdays back, I stopped by before meeting my friends Nell and Suzanne for lunch at Jane’s Garden Cafe. I arrived 45 minutes before the market was scheduled to end, hoping that would make it easier to find parking. 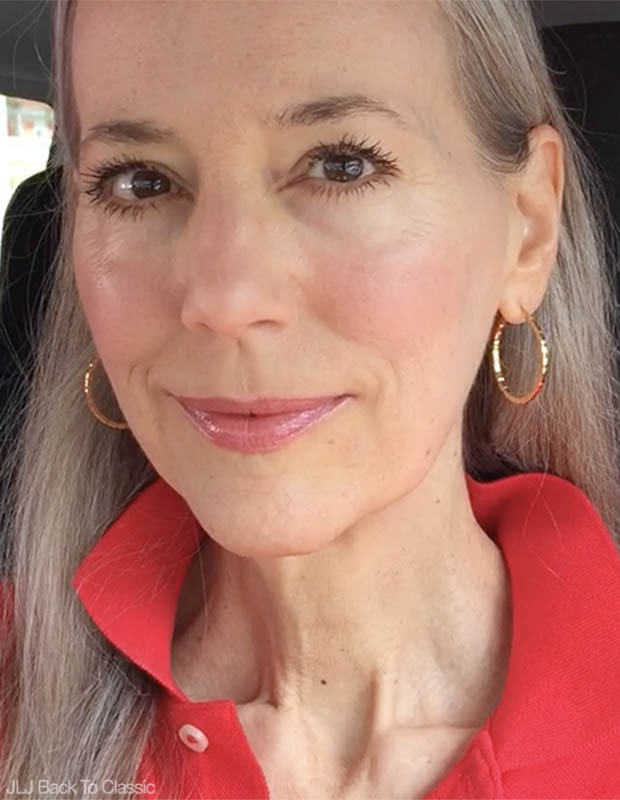 I did find parking–not very close–but was shocked at how long it took me. The market is very popular in season, so be forewarned! One reason I’ve never felt a need to visit the market is because of having both a Whole Foods and several organic food markets easily accessible all the time. Among them is Food and Thought Organic General Store. Everything is organic, and they also have a large space devoted to clothing. That being said, the Third Street Market is definitely worth a visit, because it’s much more than just a place to shop. 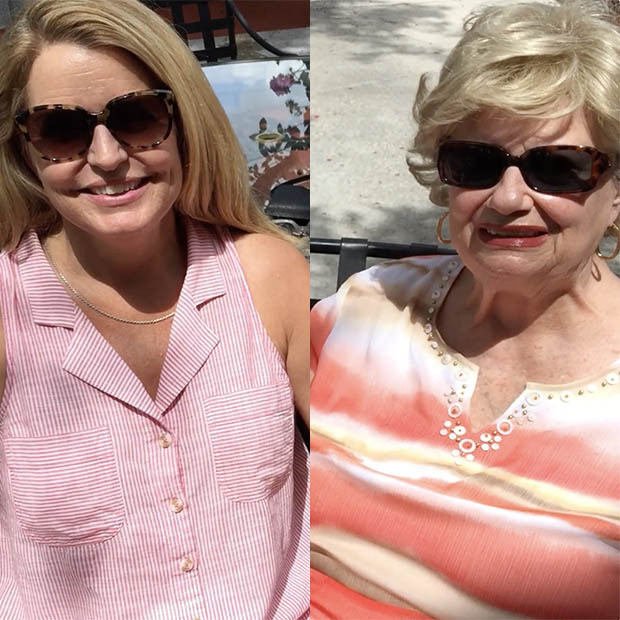 It’s a unique taste of true Naples that’s fun for the whole family. Parking during the summer is a breeze, by the way. 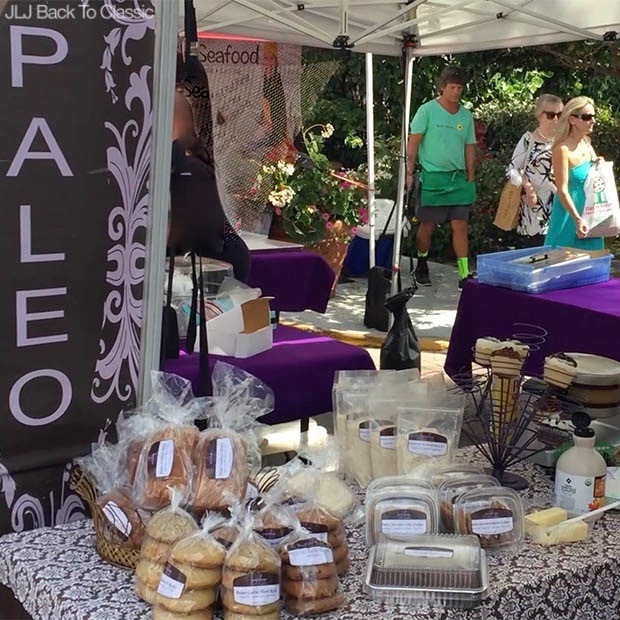 Food and Thought had a large booth at the market, and for those interested there also was a local paleo-friendly gluten-free bakery, doggie treat bakery, orchid purveyor, and much more. Several are featured in my screenshots (and video) below. 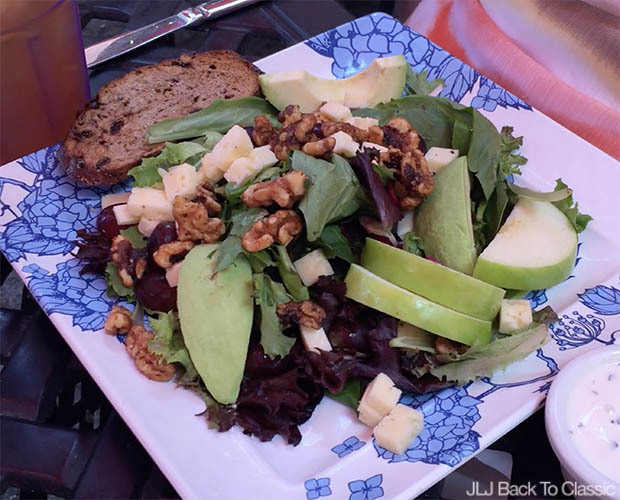 After lunch at Jane’s–which is hugely popular every day, year-round, because of their all-day breakfast, delicious salads and more–Suzanne and I took turns filming each other’s outfit with my iPhone. You can see those screenshots and the video below, too. P.S. I heard a wonderful tune at the Market. It was called “Flamaluna”, and it was played by a group called Terra Guitarra. You can see them and hear the song on my video. (ABOVE) During season, mid-November to April, the weekly Farmer’s Market closes off part of Third Street South. The rest of the year, you’ll find the market behind Tommy Bahama, in the Neapolitan Parking lot off Third Street South. 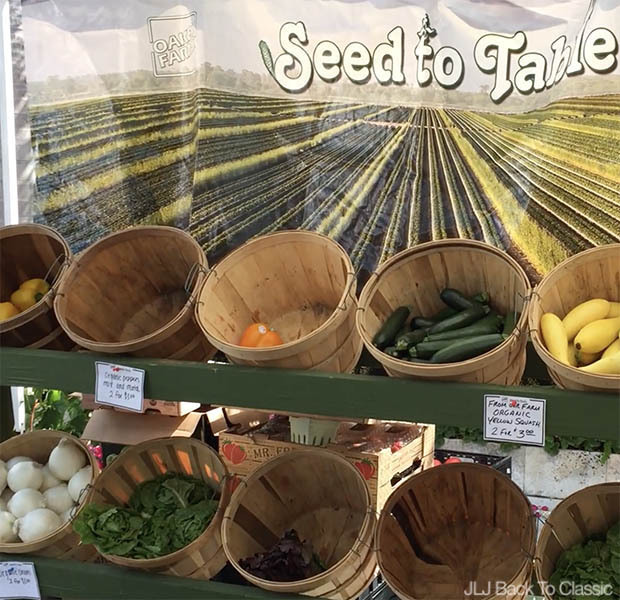 Saturdays, 7:30 a.m.-11:30 a.m.
(ABOVE) Oakes Farms offered organic fruits, vegetables, and more. They are the people behind our local organic market, Food & Thought Organic General Store. (ABOVE) Epiphany Gluten-Free Bakery’s paleo-friendly baked goods. 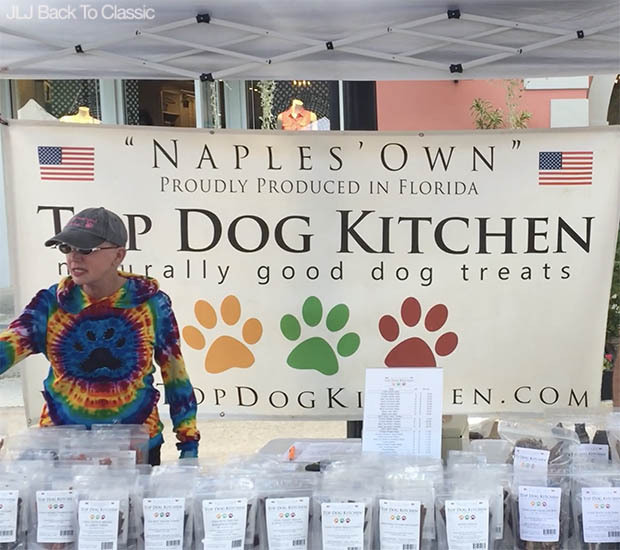 (ABOVE) Naples’ based Top Dog Kitchen. 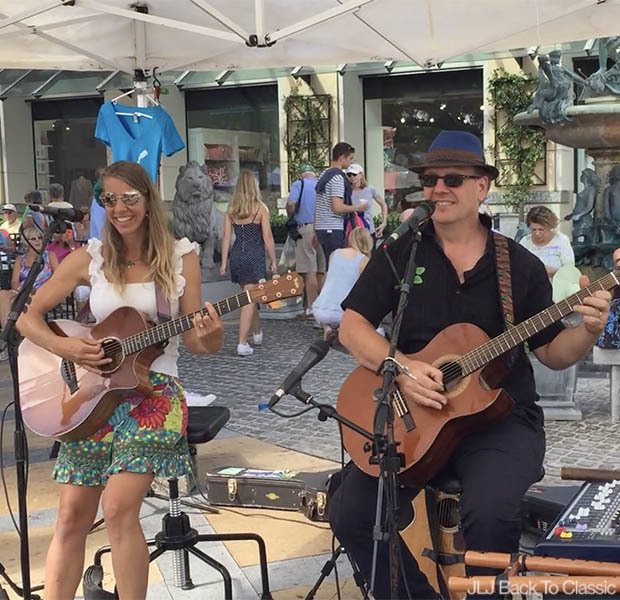 (ABOVE) Terra Guitarra performed a variety of songs, including a beautiful tune called “Flamaluna”. I loved this song! (ABOVE) The southern patio at Jane’s Garden Cafe, where my friends Nell and Suzanne and I had lunch after I visited the market. 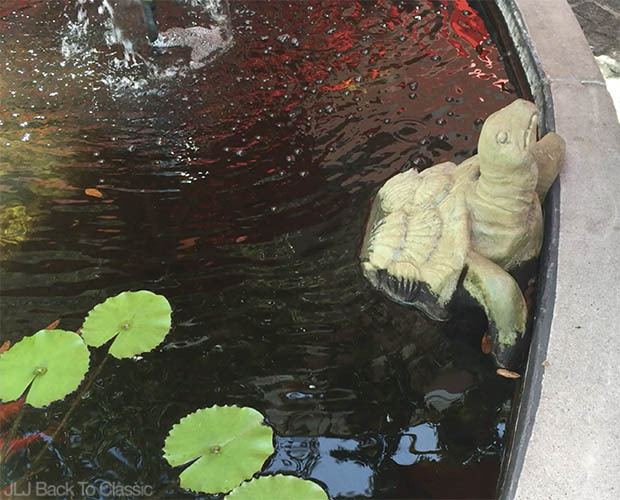 (ABOVE) I love turtles, and this little pond guy on Jane’s southern patio is adorable! 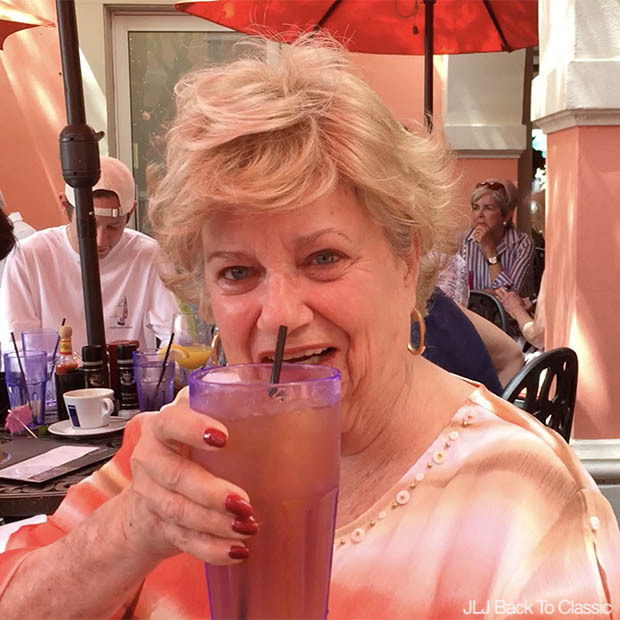 (ABOVE) Nell enjoyed an Arnold Palmer (ice tea and lemon aid) and (BELOW) a Waldorf Salad. (ABOVE) Suzanne had a light lunch of coffee and (BELOW) avocado on toast. 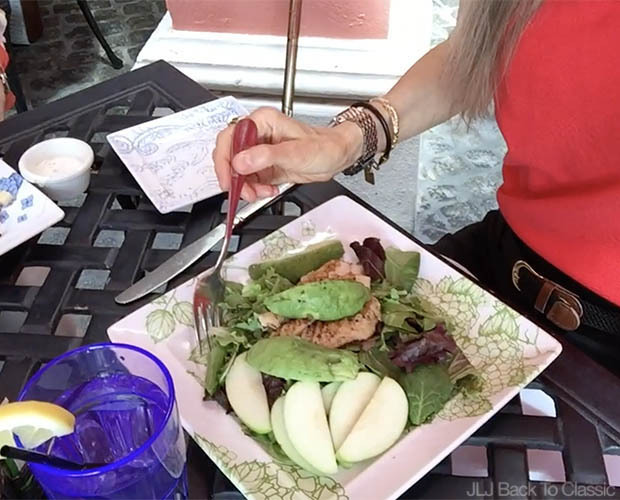 (ABOVE) I had Jane’s Organic Signature Salad, but with only the greens, chicken, and apples. 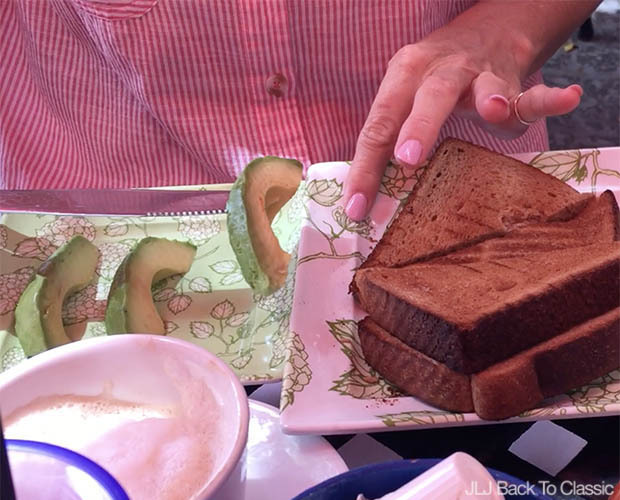 I also ordered a side of avocado slices, and transferred them to my salad (which is why they have so many fork holes in them!). As usual, I brought my home-made salad dressing. (ABOVE) Two of the sweetest people I know! 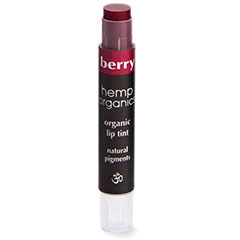 (ABOVE) On my lips: Hemp Organics Berry Lip Tint. 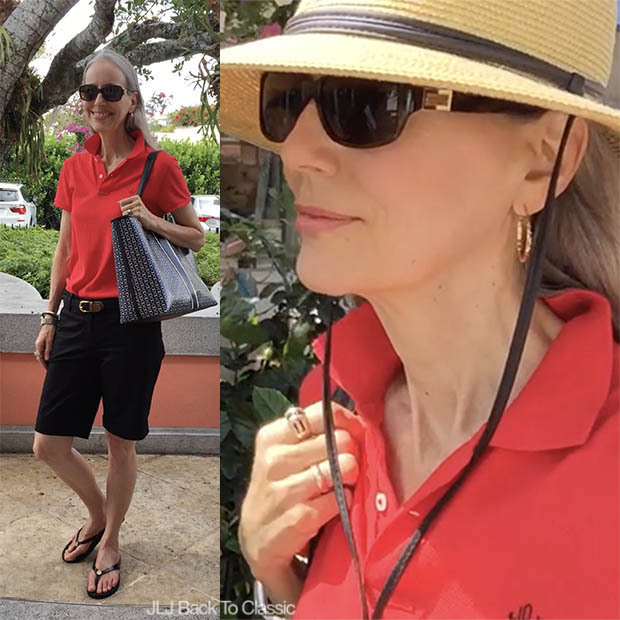 TOP: Ralph Lauren, Personalized On Line With My Inititals / SHORTS: Ann Taylor (Similar Ann Taylor Here; Also Talbots). 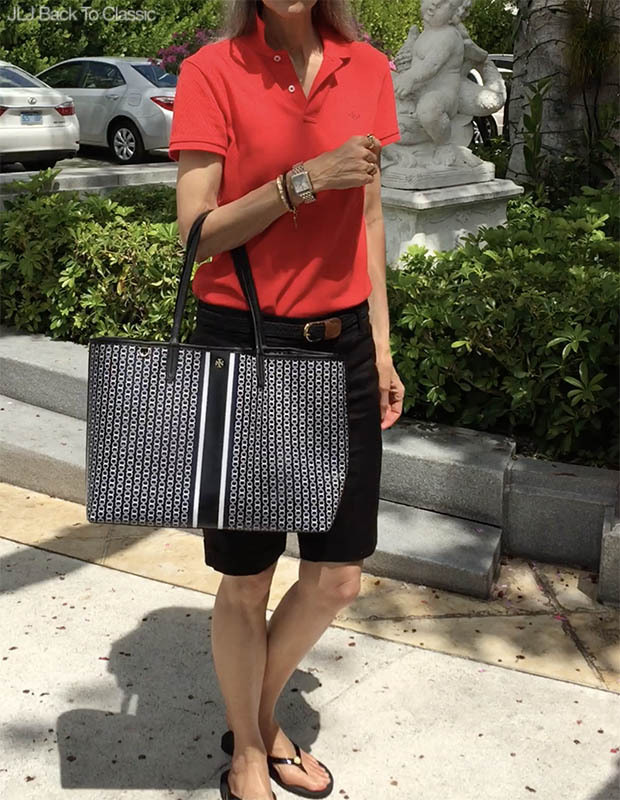 HAT: Sloggers / BAG: Tory Burch / SHOES: DKNY (Similar Jack Rogers, Brighton, Tory Burch) / EYEWEAR: Kate Spade (Also Here and Amazon) / WATCH: Michele (Also Neiman Marcus; On Sale Ross-Simons). Jane’s cafe 🙂 I always wanted to have video record there. 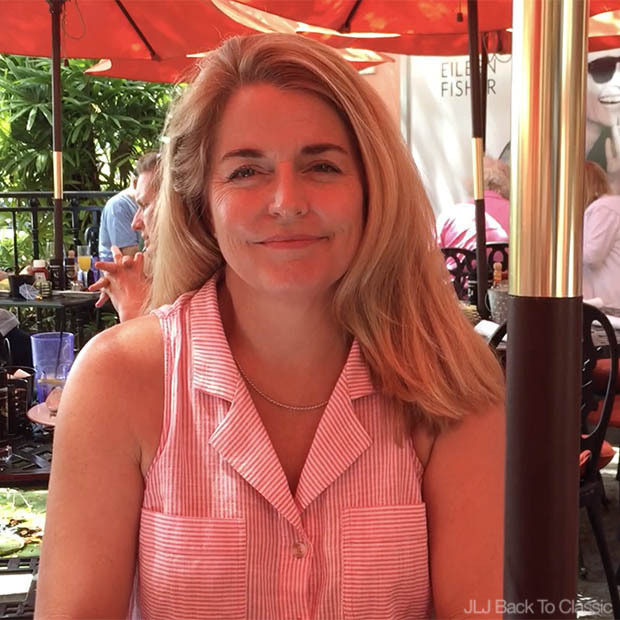 I’m so glad you made a video there,thank you so so much lovely friend Janis.A very relaxing place isn’t it ? 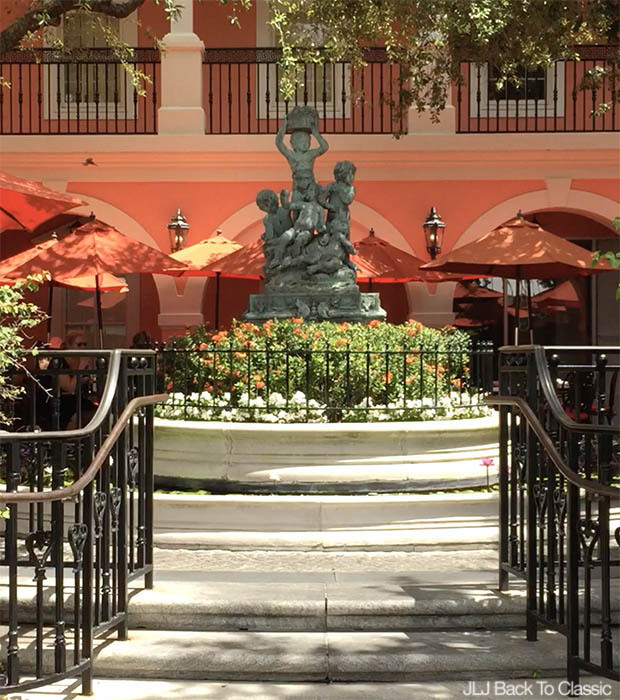 Market is wonderful,fl looks or your city looks really luxury isn’t it?And fl peoples seem so friendly.You are very lucky,You live in a clean and beautiful city.It really lives there.But crowded. 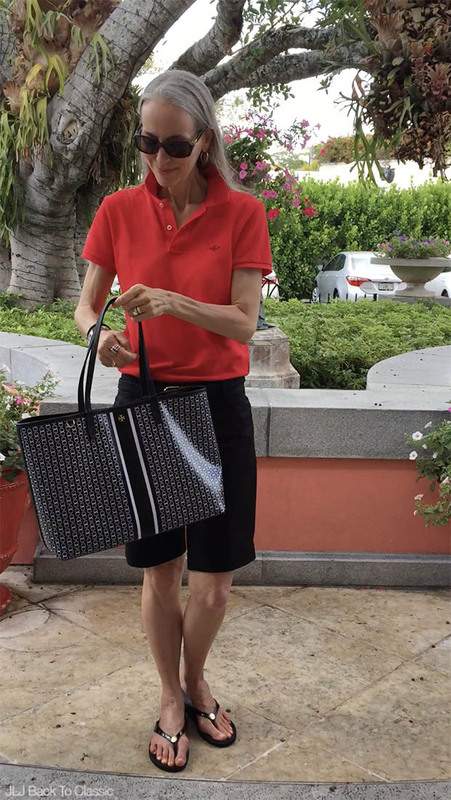 The weather looks very hot,I guessed there is summer over there.Your clothes are very comfortable,your hat is my best item.You are always very elegant.